and can be made ahead of time. Additionally, the side dishes you serve with pulled pork, such as bread, beans, homemade cole slaw, and potato salad, are also inexpensive and can be made ahead. That allows you to use the time before the party starts to clean your house, make a special cake or dessert, get your nails done, or all three! 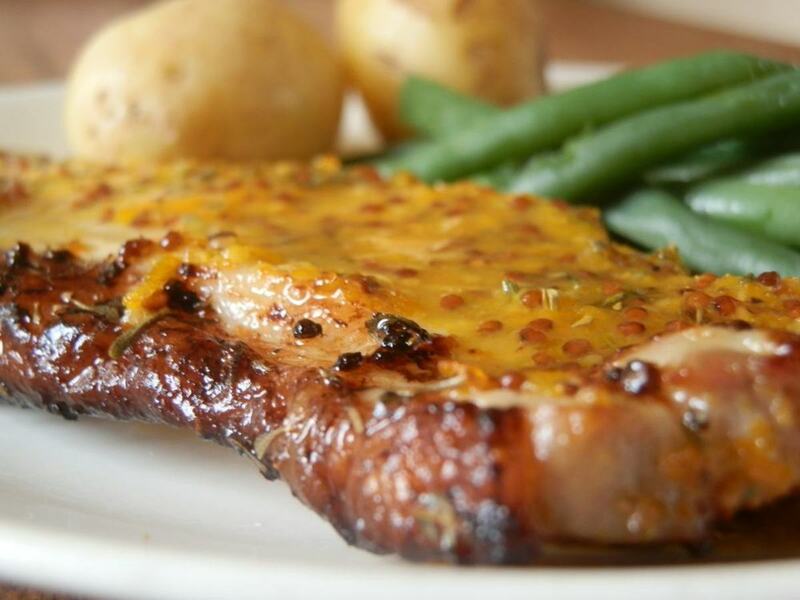 Although the entire menu allows you to serve budget-friendly, make-ahead food, the terrific aspect is that it is all delicious. Guests will rave about the food and happily gobble it up. There's nothing about the party menu that says "budget." Of course, you don't have to throw a party to make pulled pork. I make it several times a year for my family. There are only four of us, so we always have plenty of meat left over. 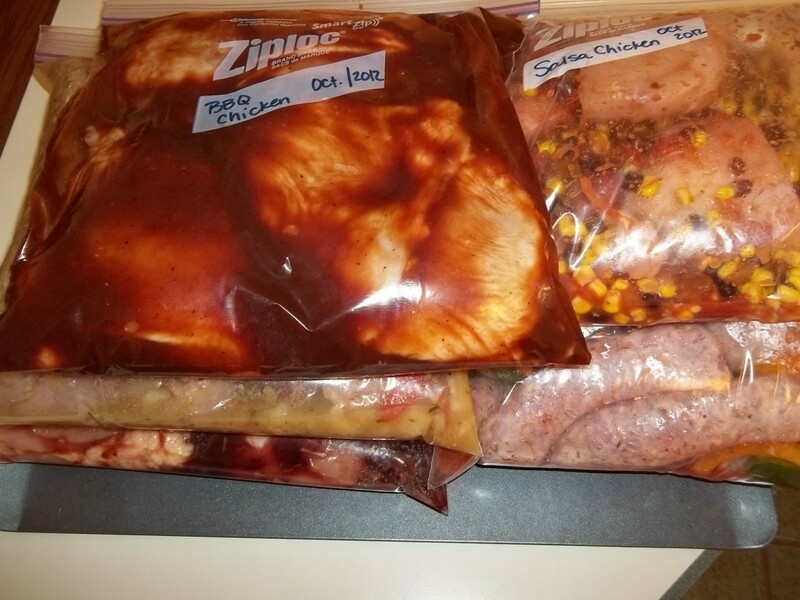 I divide the meat into dinner-for-four portions and freeze it in freezer bags. 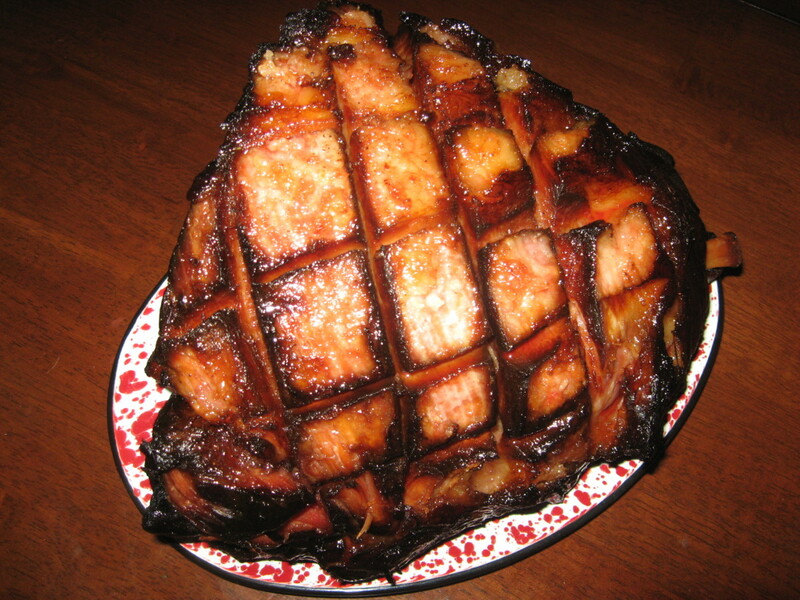 We get many meals out of one inexpensive pork roast. 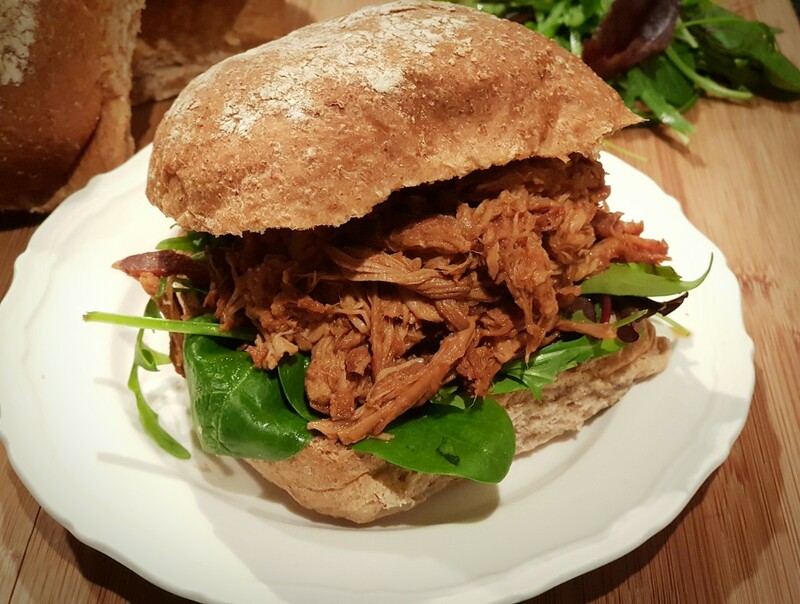 How did you like this pulled pork recipe? Please rate it! There are lots of words here, but don't let that scare you into thinking this is an involved recipe. Basically, all you're doing is putting the meat and seasonings in the crock pot and turning it on. 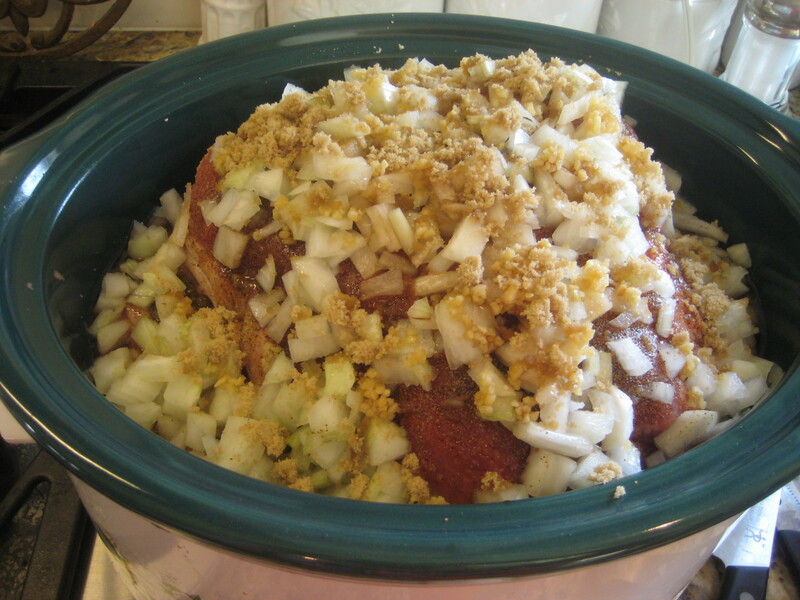 Place the pork roast in the crock pot. If your roast is very large, cut it into two or three smaller chunks, if necessary, so that it all will fit into the crock pot. Pour the can of beef broth into the crock pot. Pour the liquid smoke over the roast. Sprinkle the top of the roast with seasoned salt, pepper, onions, garlic, and brown sugar. 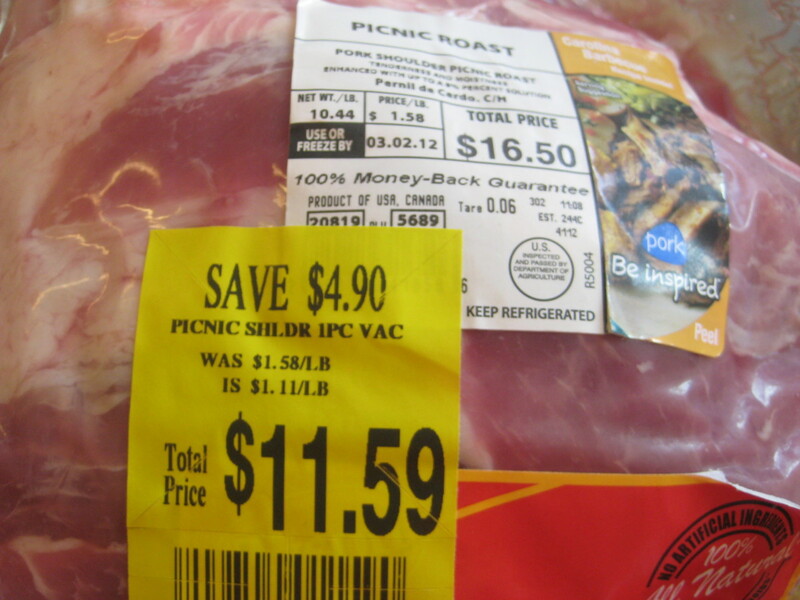 Place the lid on the crock pot, and cook the roast on low for about 8 hours. 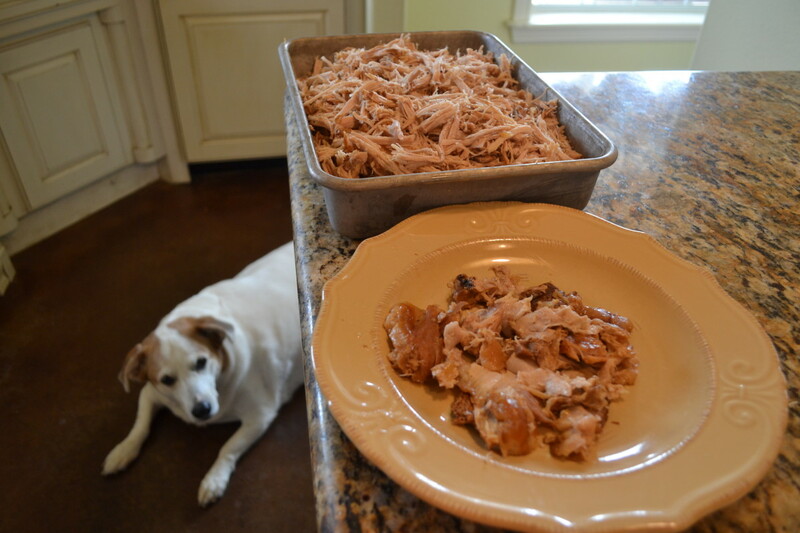 After 8 hours, carefully transfer the roast to a large cutting board or large, shallow pan. Be prepared for it to fall to pieces as you attempt to lift it out of the slow cooker. Allow it to cool slightly. Using a fork or your hands, shred the meat. While you're shredding the meat, remove and discard any fat, skin, cartilage, gristle, or bones that you find; discard these waste pieces. Save the bone, if you like, to use in soup or a pot of beans. See the "How to Pull the Pork" section below. It has videos and information that might be useful. Basically, the task involves pulling the meat apart into stringy shreds. This is very easy to do, as the meat will be ready to fall apart after cooking eight hours in the slow cooker. Reserve about two cups of the liquid that remains in the crock pot. 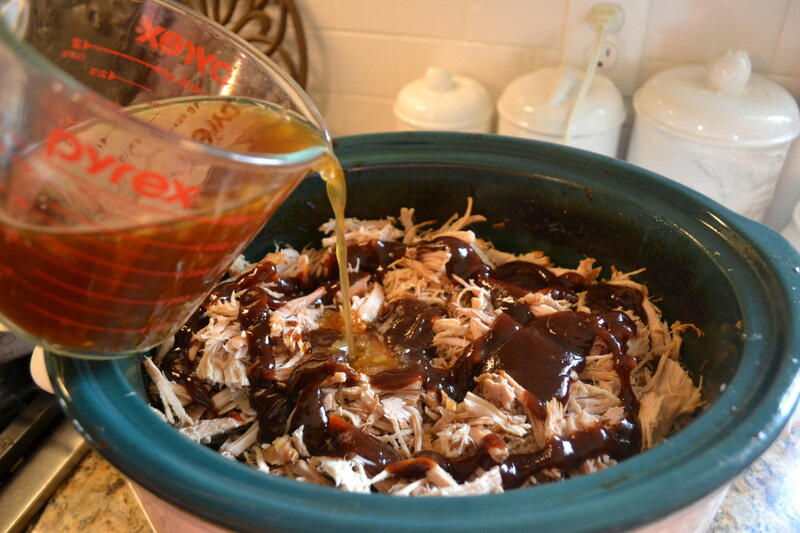 If desired, for leaner pulled pork, skim off the fat, reserving broth only. You can strain the liquid if you like, but bits of garlic, onion, and other seasonings add flavor. Discard remaining liquid and any pieces of fat or skin that fell into the broth as the roast cooked. 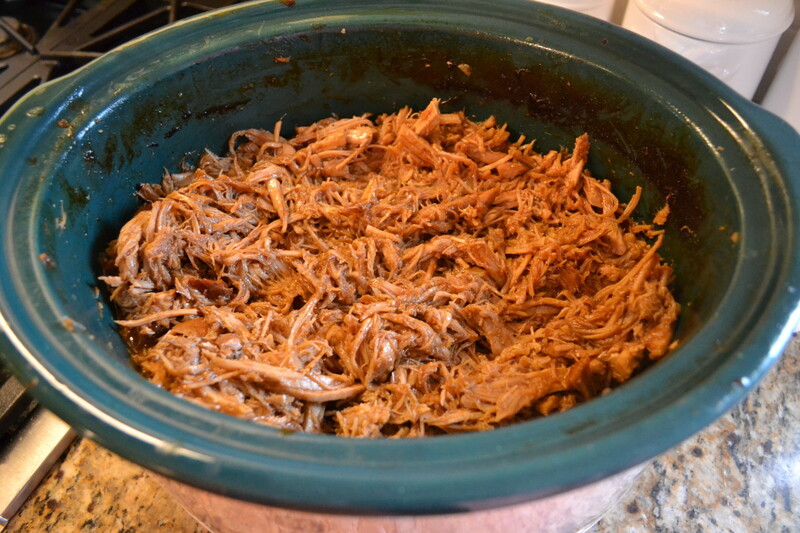 Transfer the cleaned, shredded meat back into the crock pot. A little at a time, pour reserved liquid and barbecue sauce over meat, and gently stir to mix sauce, liquid, and meat evenly. Use the amount of sauce and liquid that you prefer. 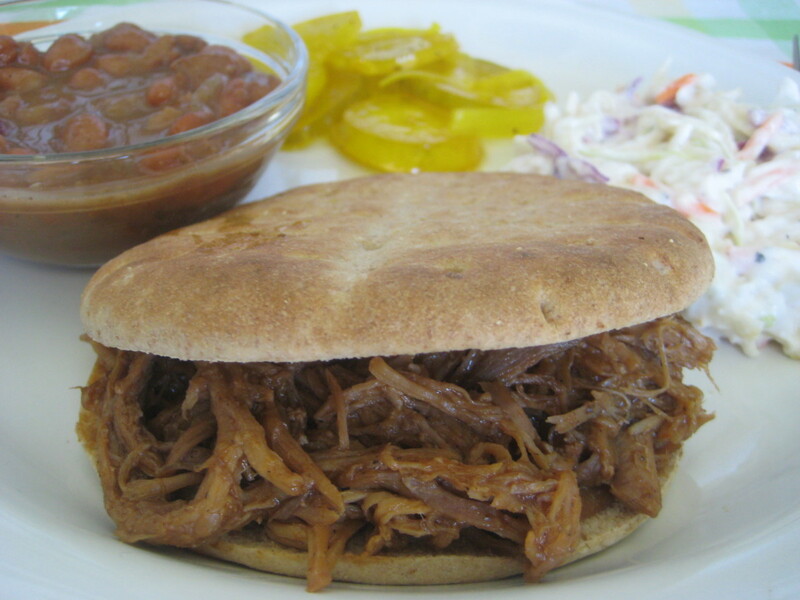 Some like their pulled BBQ pork quite wet and saucy; others like it bit thicker and dryer, with less sauce. 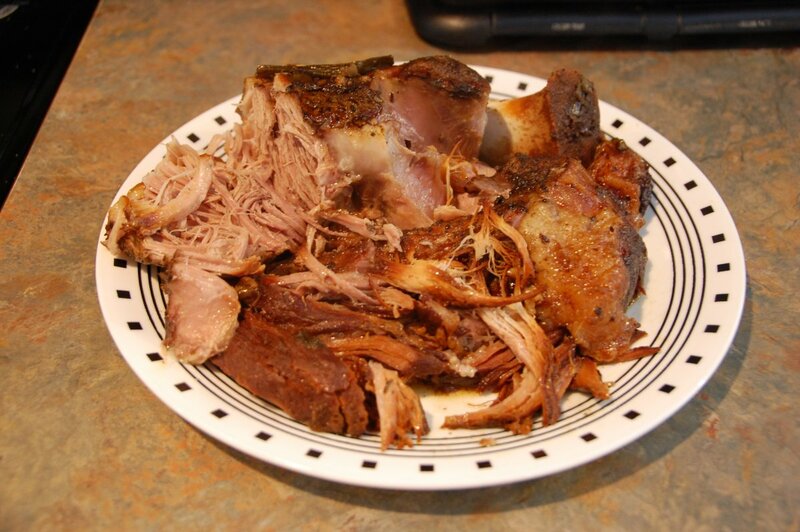 Depending upon the size of your pork roast, you may need an entire bottle of sauce, and possibly even part of a second bottle; you also might use only some of the broth or all of it. Cover the crock pot and turn the dial to high to reheat the meat. Once heated through, set the slow cooker back on low. You may serve the meat immediately or let it remain in the crock pot on low heat until serving time. 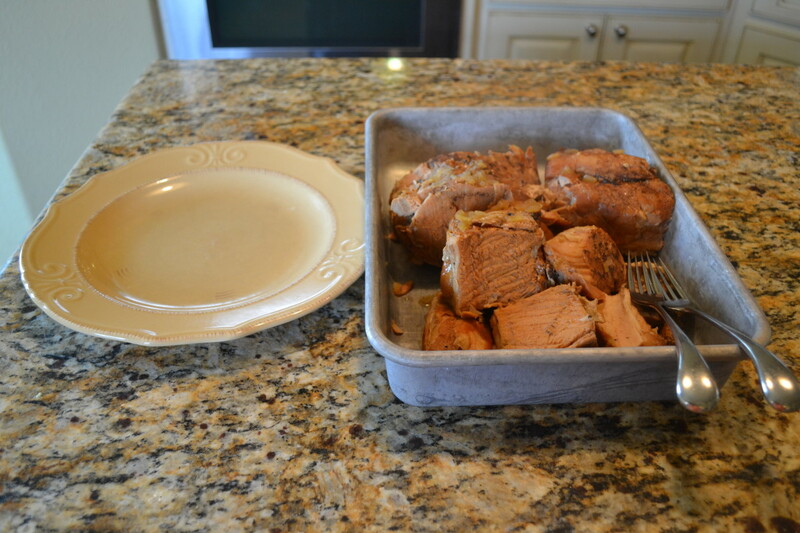 Or remove the stoneware crock from your slow cooker, cover the crock, and refrigerate it until the day or your event. Reheat meat on low for several hours before the event. Step one: Cut and put all of the ingredients in the crockpot. 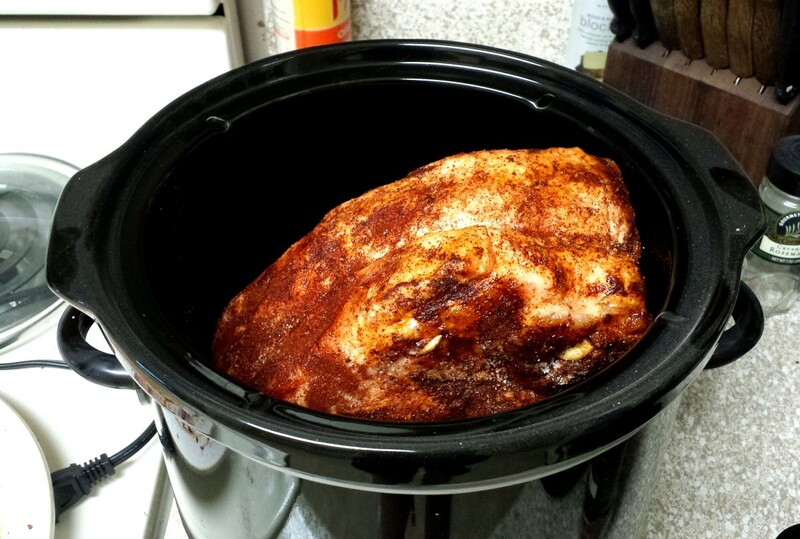 Put the crockpot on low heat and leave it for eight hours. Step two: Prepare a cutting board or plate to shred your meat on. Pup is only the lookout for some fallen meat! Step three: Add both and BBQ sauce to desired consistency. The term "pulled pork" is just another way of saying "shredded pork." 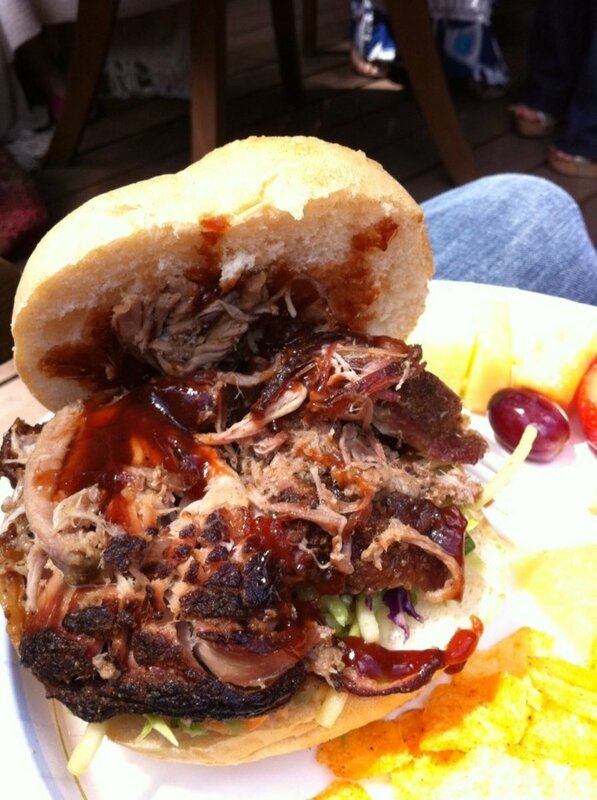 Pulling pork is an easy task, but it can be messy. It also can take up some counter space and time, so set aside a 20-30 minutes or so for this task, and make sure you have an uncluttered workspace. Some people prefer to use their hands to pull pork, while others use two forks to help keep themselves neat and clean. Some smart person has even invented "meat rakes," which are special tools for the purpose of pulling meat. Personally, although I prefer to stay clean and not use my hands, I have found that nimble fingers are the best way to thoroughly remove all the fat, skin, and cartilage. If you do use your hands, disposable gloves will help them stay clean. Also, be sure to allow the meat to cool a bit. If not, the meat will certainly be hot enough to burn you. What I like about pulling pork, other than the fact it so wonderfully melds together tender, delicious meat and spicy, smoky sauce, is that it also lets you quite easily and thoroughly remove the fat from the meat. Barbecue, especially pork barbecue, has a reputation as being a very greasy, fatty food, but that's just not the case with pulled pork that has been pulled by hand and carefully picked over for fat and skin. I've included two instructional videos (below) if you'd like a quick demonstration. 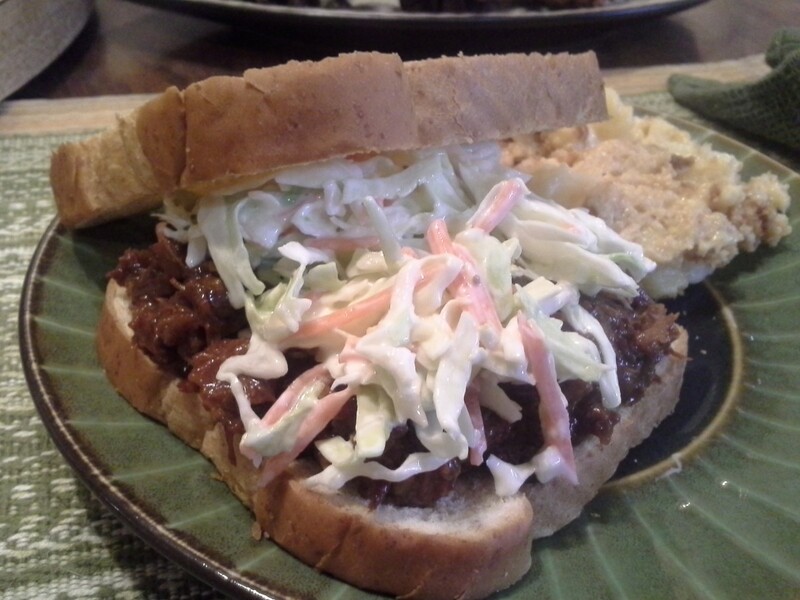 Place on hamburger rolls and serve as sandwiches with cole slaw, beans, and sweet pickles on the side. Or for a super-simple meal, serve pulled pork sandwiches with potato chips and a dill pickle spear. Roll up inside corn tortillas for tacos, or place pork and shredded cheese between two flat flour tortillas for quesadillas. Stir into baked or ranch-style beans for hearty, meat-laden barbecue beans. My kids enjoy pulled pork all by itself—just a big pile of meat on their plate, served with corn on the cob, and a slice of buttered bread on the side. Open-faced sandwiches on oblong slices of crunchy, grilled French bread. Top with shredded cheese and place under the broiler for a few minutes, if you like. Thanks Eddy, I hope you enjoy the BBQ! Have a great day yourself, and thanks for stopping by. PS Love your new profile pic with that gorgeous grandchild! A great hub which I bookmark into My Favourite recipe slot. Thank you for your kind comments, Barnesy and GmaGoldie. I will be on the lookout for the Love My BBQ products! I am a huge fan of Matthew Whiteford's BBQ and this recipe is a great way to combine my favorites right at home! Love My BBQ is a new set of BBQ sauces and rubs designed by master pitmaster. I look forward to trying this recipe with Matthew's sauces. Thanks for stopping by, KKG. If you make this dish, I'm sure you and students will enjoy it. The pulling can be quite messy, so be forewarned! I think it's wonderful you cook in class with your students. How fun! This sounds like a recipe I can do with my class. I have a self contained class, so I have them all day. We can put it together in the morning and eat it in the afternoon. Of course I'll have to precook the pork roast a bit. It sounds delicious.